It is amazing to me to think that there is only one more month of 1st grade. This year has flown by! It has been a great one with many changes for Ian. He has developed into an amazing student who I am really and truly proud of. He has learned to work hard on his studies and do his homework. He does well on his weekly spelling quizzes, enjoys math, and reads to us each night. I feel very blessed that our child enjoys learning and realize how rare that really is. And, for the times that he doesn’t feel like doing his homework, which do happen, we remind him that he doesn’t have a choice. It is his job to learn and do his best. That usually works, or the threat of no computer time or toys being put away for a while. We have to find what works, don’t we?! Ian wrote the above sentences using spelling words, which are underlined. 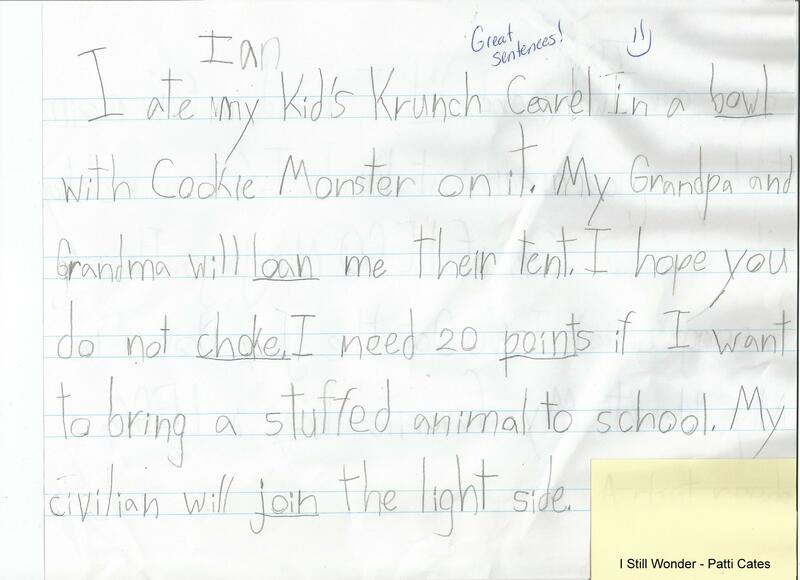 I have to agree with his teacher who said they are great sentences. I continue to be amazed at all he is learning and doing. Some of the words are written phonetically since he doesn’t know how to spell all of them. There is still much to do in the last month of school — a walk to raise money for our PTO and our programs, many Cub Scout activities as he finishes his Tiger cub year, a cookout at school, the holiday, receiving his yearbook, and finally the last day of school. I have mixed emotions but am looking forward to summer and the next chapter and the next grade. There will be many transitions of a new PTO board, new teachers, a new Cub Scout rank, new friends to be made, and much more. As with anything in life, we will have some old and new and some good and bad. I wonder how this next month will go? I hope and pray that it will be a good one and that things will go well for us. Hope it will for you too! Hi and happy Thursday. 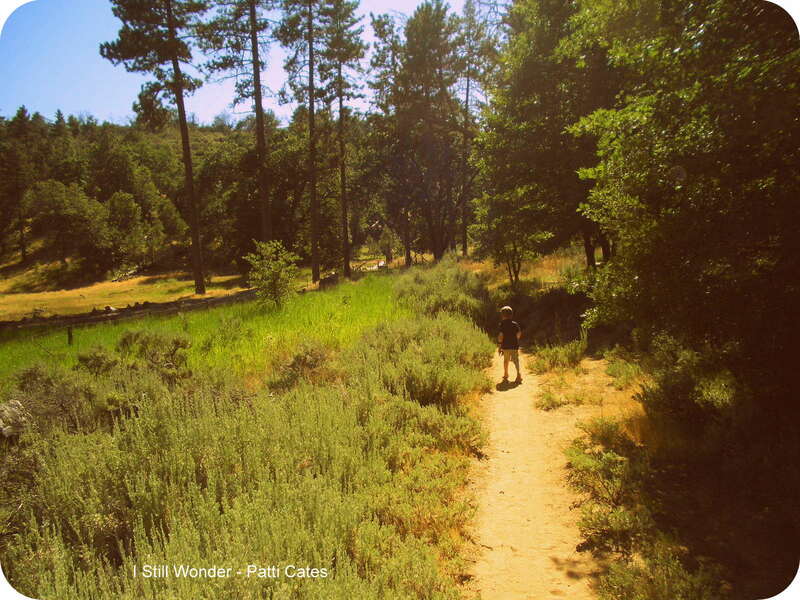 For today’s Throwback Thursday, I decided to post a photo from years ago of Ian walking on the pathway to Willie’s Cabin. Well, at least this was the place that my grandfather told us that our elf friend Willie lived. He was the character trying to figure out where rainbows come from. On his quest, Willie always got into trouble and needed his friends to help him get back home again. I so loved his story telling ability. He was amazing with the words he used, the visual pictures, the inflections in his voice, and his love of this character. I felt honored and still do to have known Willie. Thanks Grandpa for this amazing gift. My mother and her siblings went to a cabin near this location many years while growing up. They, their parents (my grandparents, and other friends and family enjoyed spending time there. It was a favorite activity of the family and we have always heard stories about it. The property is now a federal park and is still well-preserved. The memories linger and we visit when we can. On this particular day when we went walking, Ian wanted to find Willie’s cabin. Knowing there probably was no such thing, we were stunned to actually find a small cabin. I cried happy tears at the gift again from Grandpa. Ian was thrilled beyond belief. You see, he loves the Willie stories as much as I do, and was so excited to see where he lived. To my parents, aunts and uncles, siblings, cousins, and the next generation, I am honored to have listened to these stories with all of you and to have shared all that we have. Love to you all. Grandpa (and Grandma), you are loved and truly missed. Your stories will live on. I too wonder as Willie does about so many things and am on a quest to learn more. And I am thankful for those who help me along the way. That is so true! I love to read to Ian and now with him. He is a great reader and loves his books. That makes me really and truly happy! Ever since he was a toddler and earlier, he has loved reading. He liked looking at the pictures and hearing us read to him. 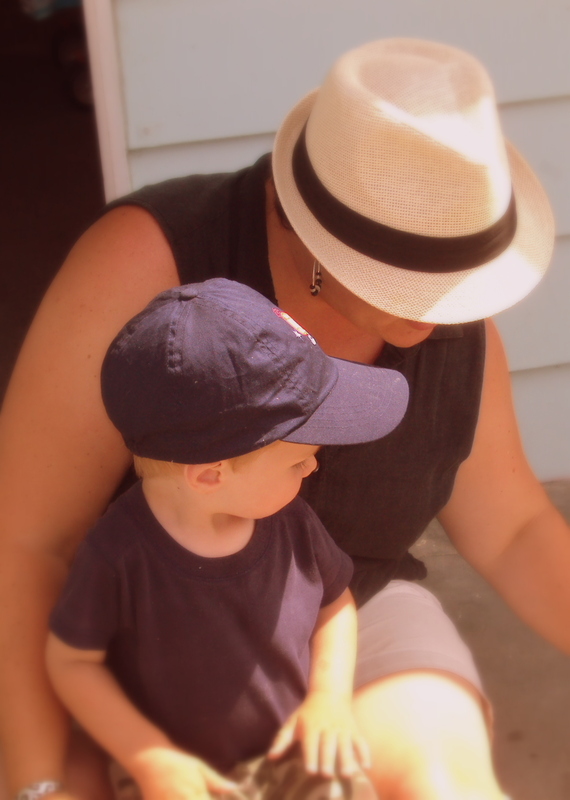 I loved having him sit on my lap as we read a story together. Then as he got older and learned to read, I loved having him cover my mouth and read a page to me. What special and terrific memories. Some of our favorite books that make us laugh are by Dr. Seuss. We love the rhyming, the funny and made-up animals and words, the stories, the messages and morals being taught, and the great pictures as well. Dr. Seuss had a great respect for children and enjoyed entertaining them. He taught great life lessons through his stories. I thank him for hours and hours of entertainment. And, hope to one day write a children’s book that is half as much fun. I will certainly do my best. When Ian was still quite young, we signed up for Dolly Parton’s Imagination Library. Each month from birth to age 5, children receive books at no cost to the family. We still have all of these books, which are age appropriate. This amazing gift was treasured by our family. We were sad when he turned 5 years old and received his last book. Now, we go to the city library each month or more frequently. We have continued the enjoyment of new books and stories on a regular basis. We are so very blessed and thankful that Ian is such a great reader and truly loves books. That is a wonderful blessing. I wonder what book or books we will read tonight before bed? I cannot wait to find out. That is one of the best parts of my day! Hi and Happy Thursday! 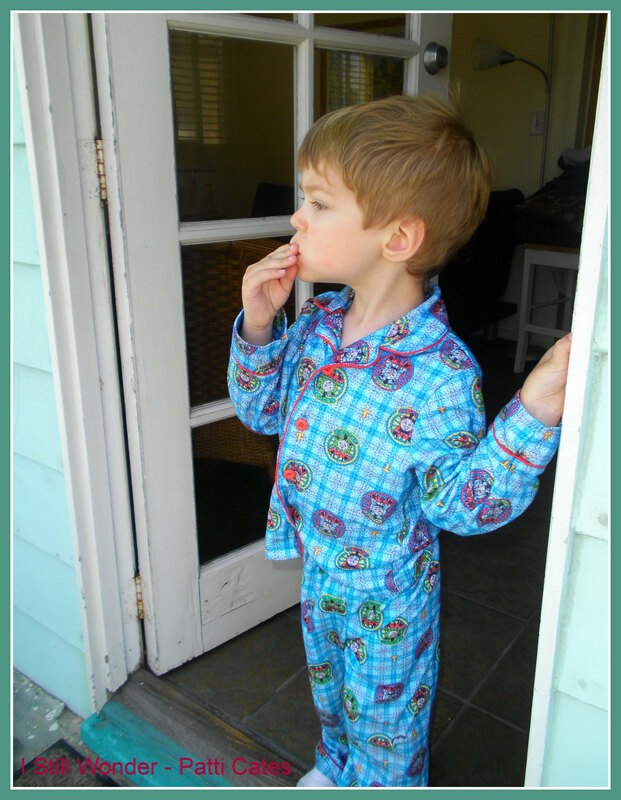 For today’s Throwback Thursday photo, I decided to go with one from 4 years ago of Ian in his pajamas. He looked so cute in his Thomas The Train pjs. This morning on Good Morning America, they were talking about it being Wear Your Pajamas to Work Day. So, I thought this would be a great one to include. It was taken on the porch of the beach house. Ian was having breakfast and looking outside at all of the activity. He looks intrigued by something. Not quite sure what it was. He has grown quite a bit since then, but the hair is quite similar. Still a bit messy in the morning. Now his legs are long and he stands very tall. Amazing what a difference four years can make. I wonder what the rest of the day will bring? I am sure plenty of adventure. Let’s make a great one! Hi and Happy Wednesday. Today, I have a few more days to catch up on in the April Photo-A-Day Challenge. April 13 was Paper, April 14 was Up and April 15 is Dinner. For this one, I decided to go way back to one of my favorite notes from Ian. He was still a little guy so he couldn’t write very much. He could, however sign his name. 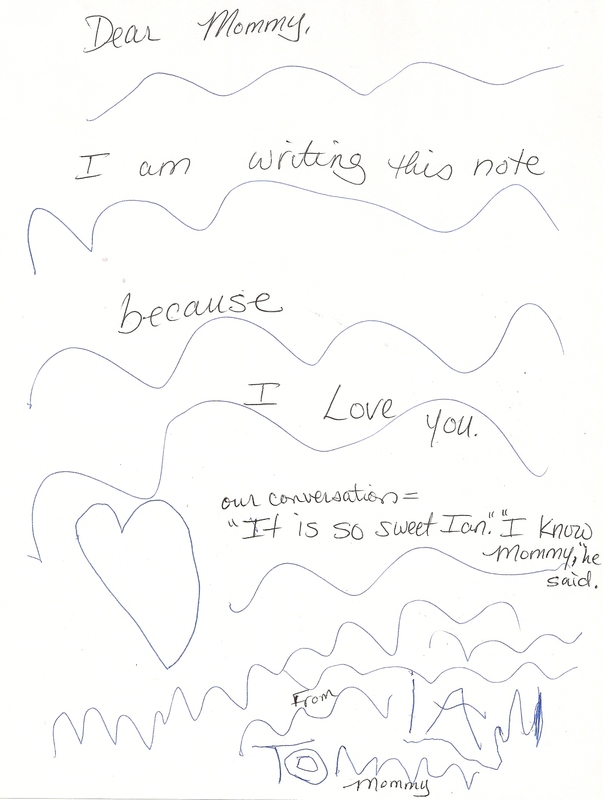 Now he is very good with his penmanship and writes very sweet notes. He created a special card for me for my birthday. And, he has something in mind for Mother’s Day. For April 14, the challenge was Up. I chose a photo taken during our visit to South Carolina last summer. 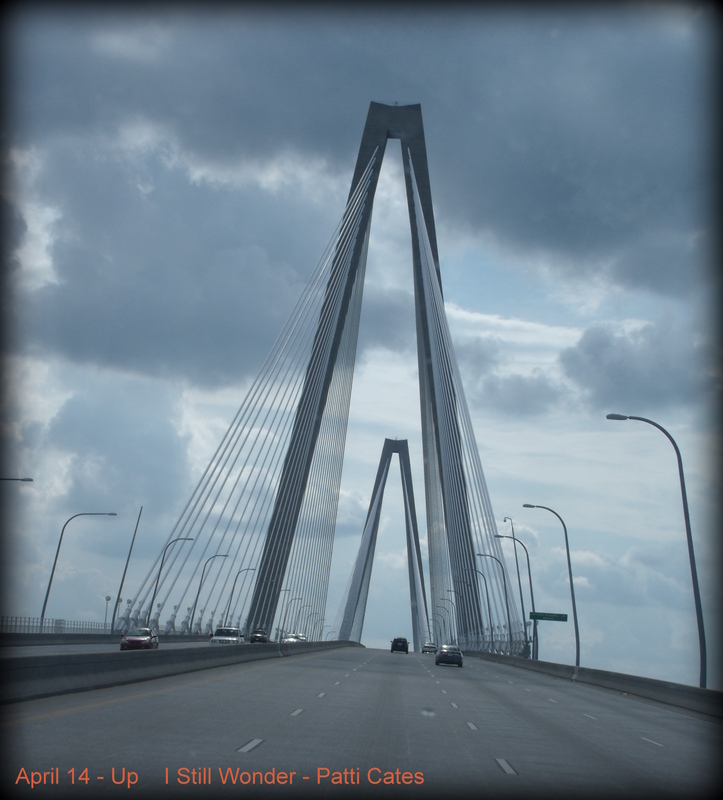 We were driving across this amazing bridge. I liked the height of the bridge and the pending storm. There is a lot going on as you look up. For this one, I went back a few years too. Ian was enjoying a special treat for his birthday. His expression is great, isn’t it? 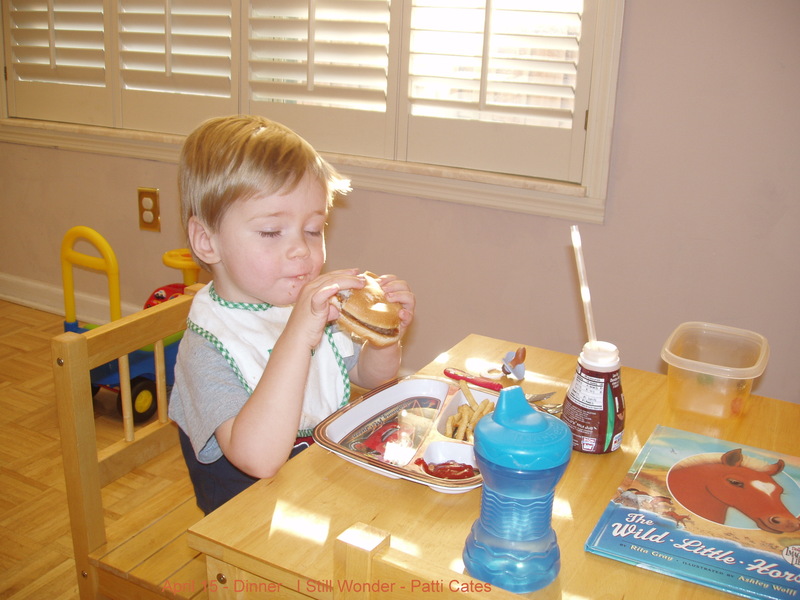 He seems to be savoring the hamburger, chocolate milk, and fries. Now he prefers chicken nuggets to hamburgers. Some of his faves are cheese quesadillas with refried beans, and chicken teriyaki with rice. I wonder what we’ll have for dinner tonight? Not sure, but I am sure it will be something yummy. Have a great day! Flashback Friday – Yummy Cake! Hi and Happy Friday. I don’t know about you but I am very thankful it is Friday. I missed Throwback Thursday, so instead decided to post today. For Flashback Friday, I decided to include a photo of Ian from when he was still in his high chair. He had just finished a small piece of cake and it went everywhere. 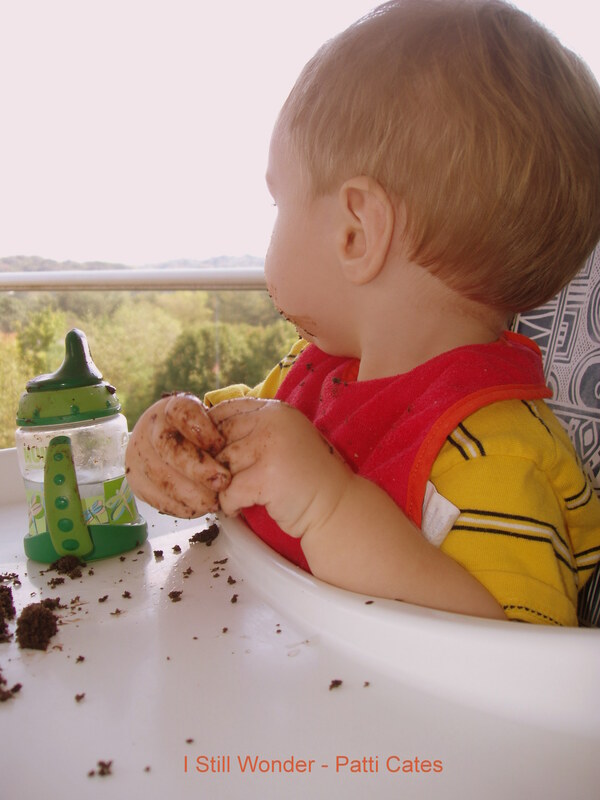 He still likes chocolate but is much less messy with it than he was when this photo was taken. We were at a birthday party and sitting out on the deck. Ian seems to be enjoying the view along with his treat and drink. It is amazing to see the changes between then and now. So many wonderful milestones have been met and surpassed. Now he loves to sit at the table to eat and has great conversations with us about his day, what he has learned, and his latest Lego creation. I wonder what new picture I will get of someone eating cake? I doubt it will be as messy as this one was! But it will still be fun. Have a great weekend! Hi and Happy Wednesday. I am behind on my photo a day challenge. So here are a few. 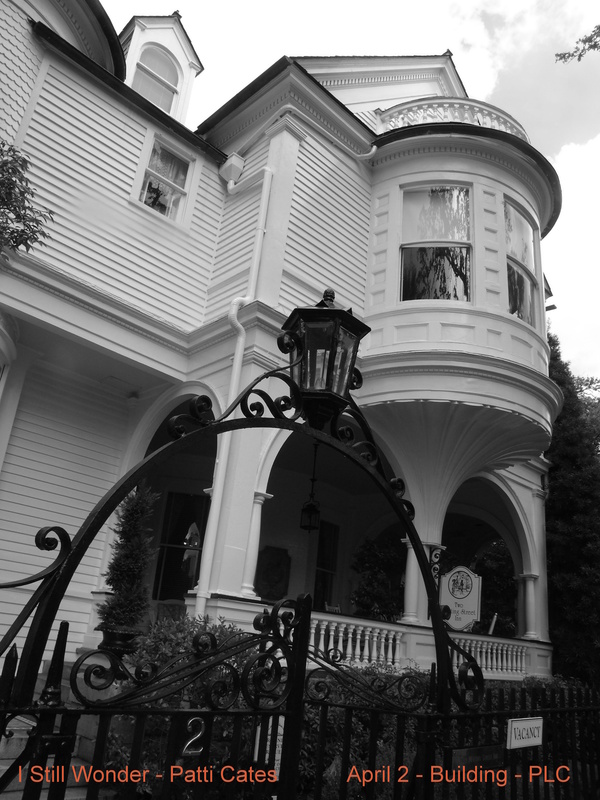 For last Thursday’s picture, I chose a building that I saw while in Charleston, SC. There is so much amazing architecture there. It is a lovely town and fun to visit. We had a great time with my cousins, as we always do. I turned this into a black and white photo since I thought it looked really nice this way. What do you think? What building would you choose? I skipped a few days since I couldn’t find my list for the weekend. 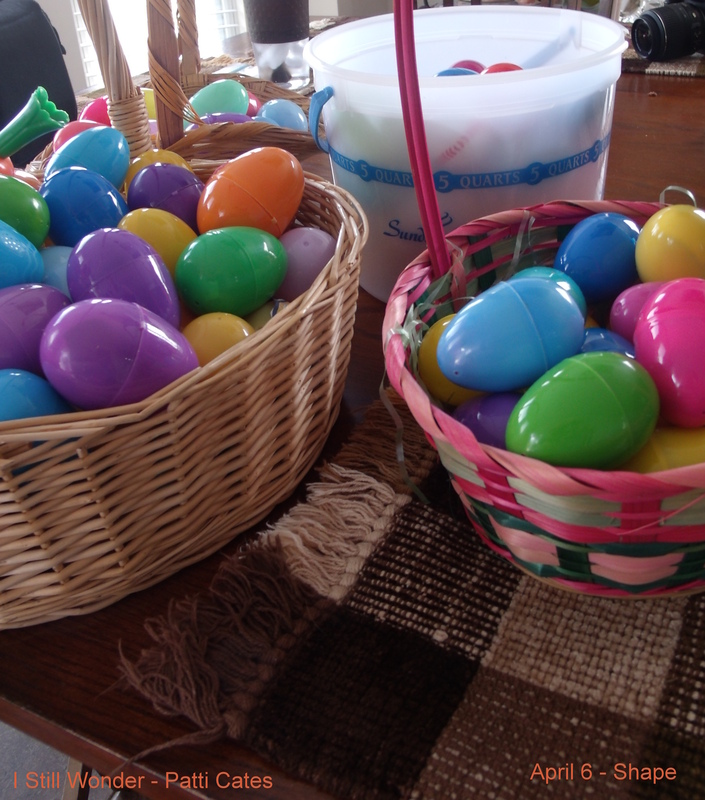 Anyway, here is a photo of our plastic Easter eggs for the egg hunt at my parent’s house on Sunday. We filled 200 eggs full of yummy candy for the egg hunt. Ian and his cousins had a lot of fun and got lots of great candy. Fun times. What shape would you choose? Square, circle, triangle, octagon? There are so many choices. This one was a challenge since there are so many things that are beautiful — a child laughing, a smiling baby, the eyes of a loved one, love between generations, laughing at a joke with a dear friend, a sunrise, a sunset, the Grand Canyon, mountain vistas, and flowers blooming in spring. I decided to go with a newly budding tree. 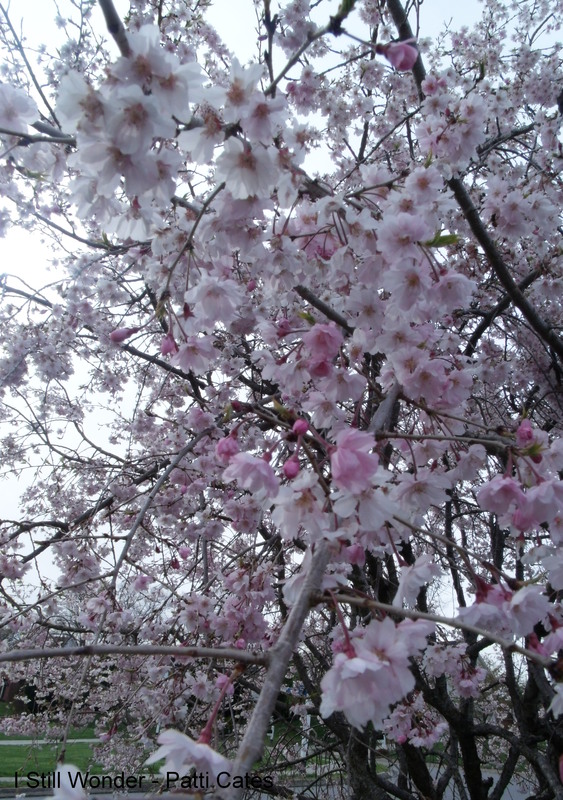 It shows the beauty of nature and the beauty of spring. There is new life this time of year and that to me is beautiful. Again, what would you choose for beautiful? I wonder what else I will see for a building photo, a shape photo, and a beauty photo? I am sure there will be plenty of choices. I can’t wait! Have a great day. He Is Risen! He is Risen Indeed! Alleluia!!! Hi and Happy Easter! Today we celebrate the resurrection of Jesus after a brutal beating and death. The fact that He endured such pain and suffering is an amazing one and something I cherish. A friend of mine who is a pastor said that Easter is his favorite day of the year. It is one of my faves too. It is a wonderful and glorious end to a sad and painful weekend. On Thursday, we have Maundy Thursday where you celebrate The Last Supper. Our service was really great and very moving since we heard the story of Jesus breaking bread with the disciples for this His last meal. Then Good Friday is when you will often hear the last 7 words of Christ before he died next to two other men on the cross. You also hear the story of the suffering that He endured. At the end of each of those services, we were asked to leave in silence and no benediction was given. Because, the story isn’t over until Easter. Easter…Wow…a day of promise fulfilled. A day of celebration… A day of faith and fun… A day to realize that a man who was crucified and died conquered death and rose again. A day that some believe didn’t happen. I do and believe that it is truly an awesome day! On Easter, we have yummy candy, new clothes and hats, Easter Egg Hunts, a sunrise service at the marina, breakfast at church, special music, a packed service with communion, and lunch with the family. It is a day of praise, family, and true happiness. Where the angels ever sing. Alleluia! Sing we to our God above, Alleluia! Praise eternal as his love; Alleluia! Praise him, all you heavenly host, Alleluia! I love the words to this hymn. I love hearing the entire congregation sing it together. I love hearing the organ play the accompaniment. I love the sound of the trumpets that are often played. I love feeling chills and thanking the Lord for this miracle. I hope you enjoy this amazing and wonderful day! 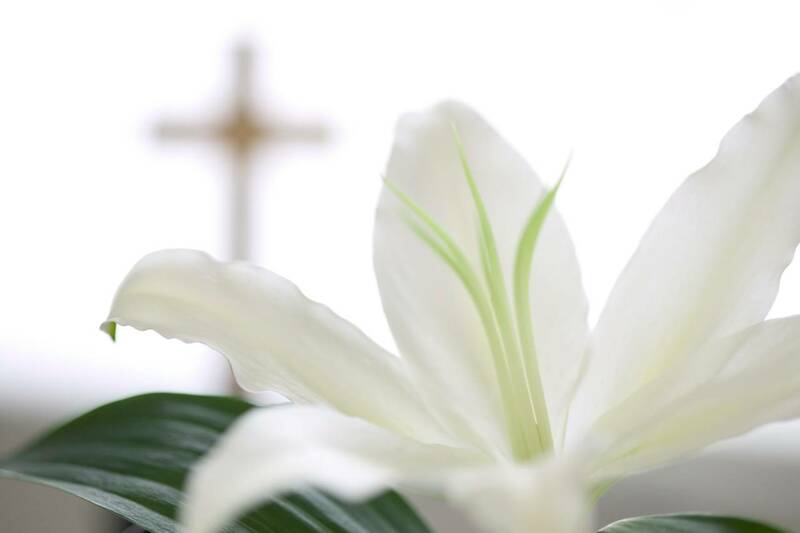 May you have a blessed Easter! He Is Risen!! He Is Risen Indeed!! Alleluia!!! Each April 1st, I wake up and thank God for another year of amazing blessings. You see, back in 1984, I had something happen to me that could have been a very serious accident or worse. This is not a prank or a joke. On that day 31 years ago, two friends and I were talking after church. We were in the parking lot not realizing what was coming next. The next thing I remember is being dragged on my stomach for what seemed like a long time, being stuck under something, and then being freed. And, I was in a lot of pain — more than I had ever been in before. I feel no ill will towards this woman. At the time, many cars were recalled and being repaired for this very problem. I hope and pray that she realized she wasn’t at fault and that all of us were fine. Bumps, bruises and some scares but all in all, not bad. You know my friend Gordon the paramedic? He is the one who taught me how precious each day is since you never know what will happen. Isn’t that the truth? When I met him 6 or 7 years after this happened, he told me he remembered that day. The most lasting result from this day for me was waiting two years to drive. At the time this happened, I was 16 years old and taking driver’s ed. After this experience, I was just too scared to drive. Also, I hated parking lots for a very long time. Today, I am still very wary about where I park and think about the safest way into the building. The other lasting result is knowing that bad things can happen and I will be protected and get through them. Life isn’t easy but the journey can still be a good one. And, I realized how important each and every day is and that my loved ones are who make it all worthwhile. Many wonderful things have happened in my life in the last 31 years. I am so very thankful for each and every one of them. I just wonder if I will keep appreciating all of them and my loved ones as much as I have. I think I will since I give thanks each morning. Three years ago I wrote a story about this day. In this link, I gave more details of the day. The link is https://patticates247.wordpress.com/2012/04/02/my-miracle-no-foolin/. May you have a safe and prank-free April Fool’s Day!